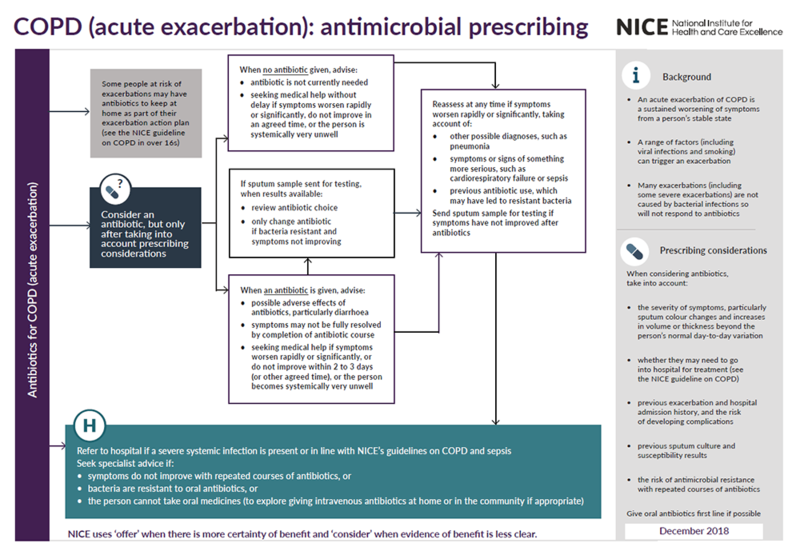 This guideline sets out an antimicrobial prescribing strategy for acute exacerbations of chronic obstructive pulmonary disease (COPD). It aims to optimise antibiotic use and reduce antibiotic resistance. See the NICE guideline on COPD in over 16s for other recommendations on preventing and managing an acute exacerbation of COPD, including self-management.